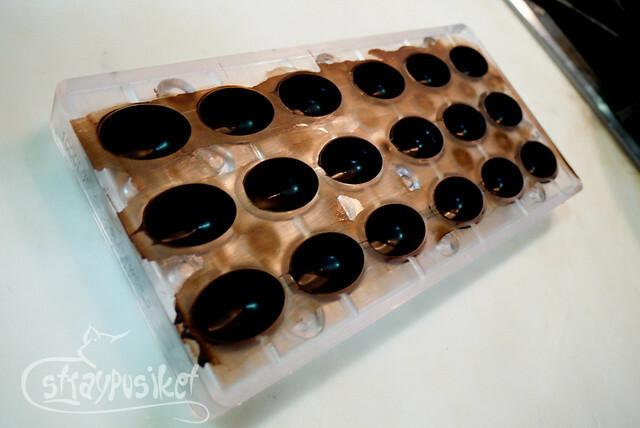 EBPS Day 10: Cacao and Cocoa. Same same but different. 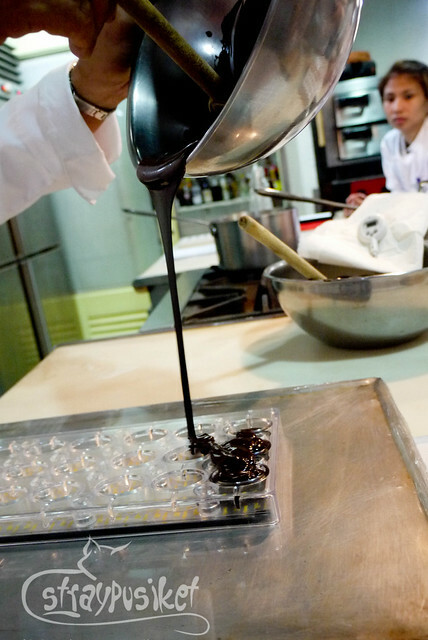 I've reached this age not knowing (or not really caring about) the difference of cacao and cocoa. Upon reading several blogs, I realized they're one and the same. It's only the processing that makes the other one become the other one. 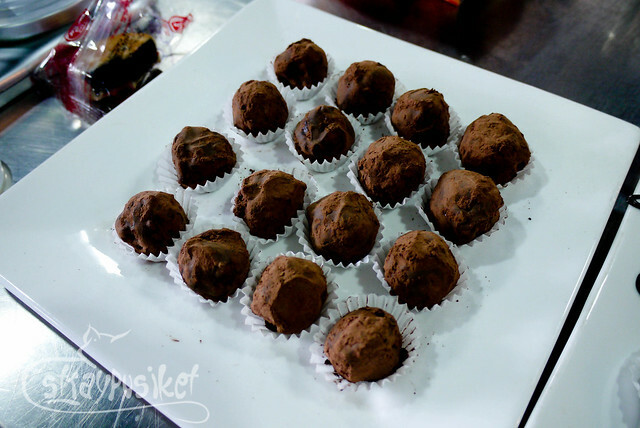 Cocoa is a cooked, roasted, processed cacao. 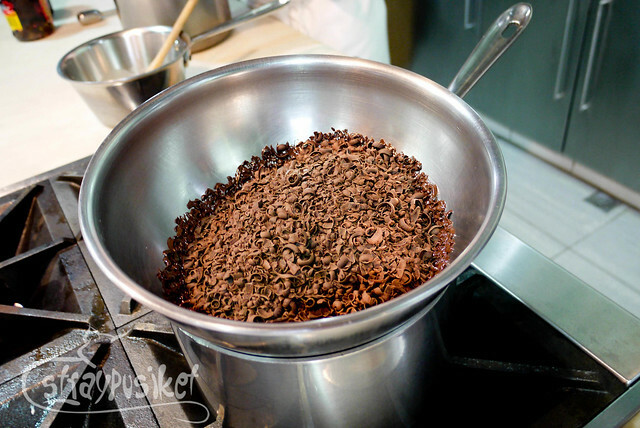 Cacao is uncooked, "unroasted", unprocessed cocoa. Simple. 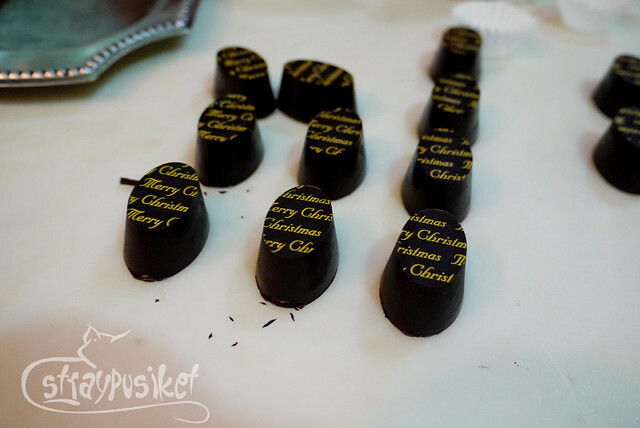 Our day 10 covered Chocolate Artistry so our main ingredient was obviously, chocolates. 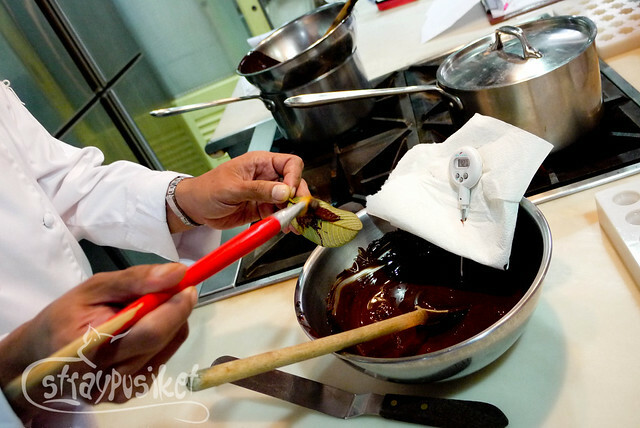 Chef Carlo was our teacher for today. 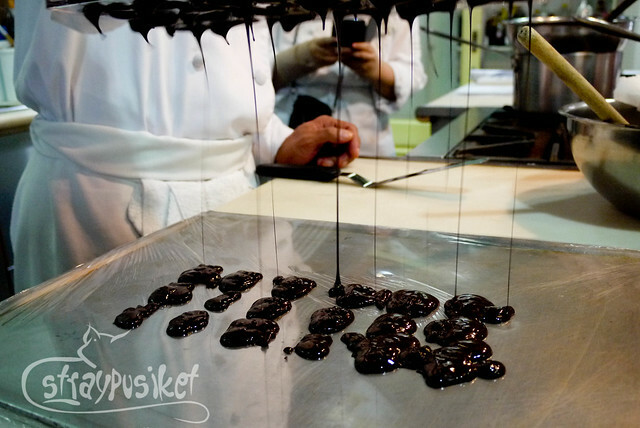 There was a short lecture about chocolates then we went in front to watch him do the demo. 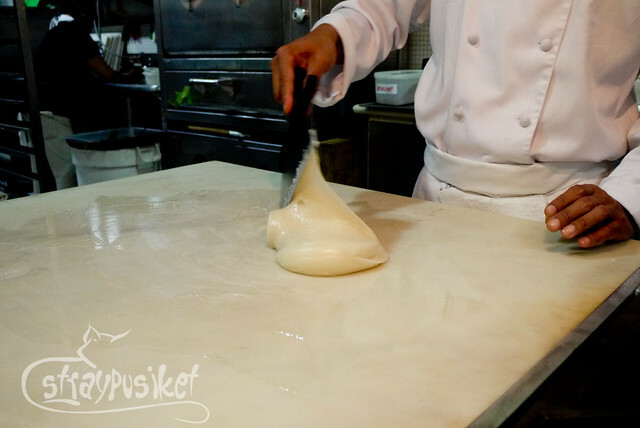 He first first showed us how to make a mint candy. 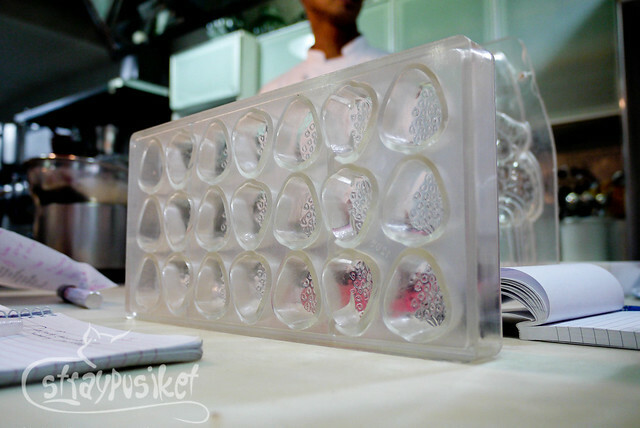 Then he did some chocolates using different molds. 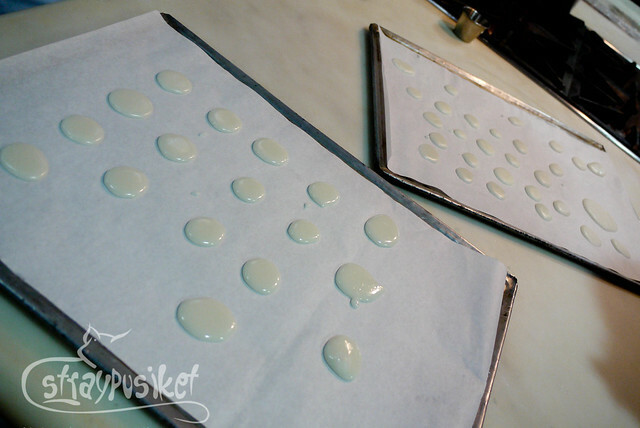 He also used transfer sheets to add prints on some of the chocolates. 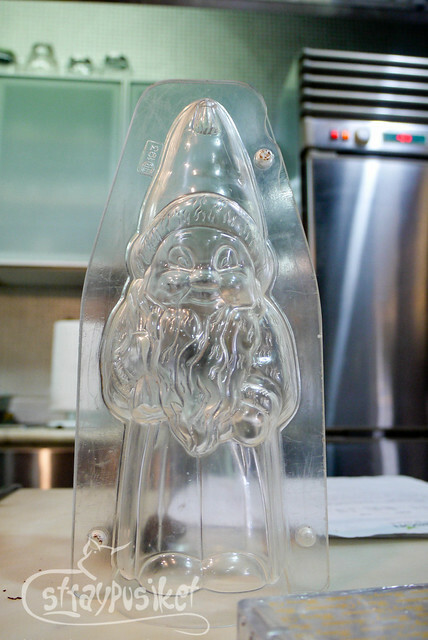 I assisted him in putting the chocolates in the gnome mold. Unfortunately when it was already cooled off, it accidentally fell and broke into pieces. We were grouped by 2s and I was partnered with Leeann. 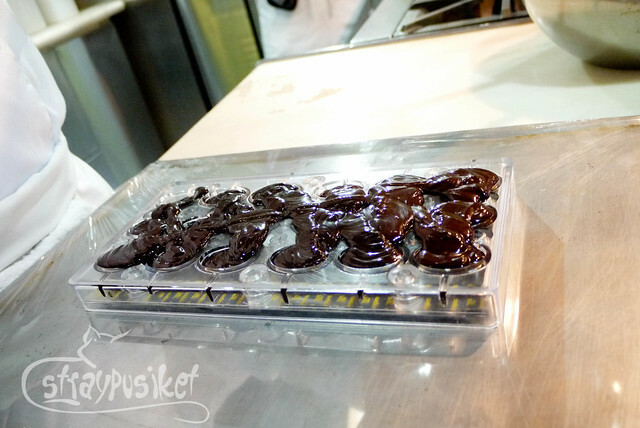 Each group was given a different chocolate mold. Ours was a strawberry. 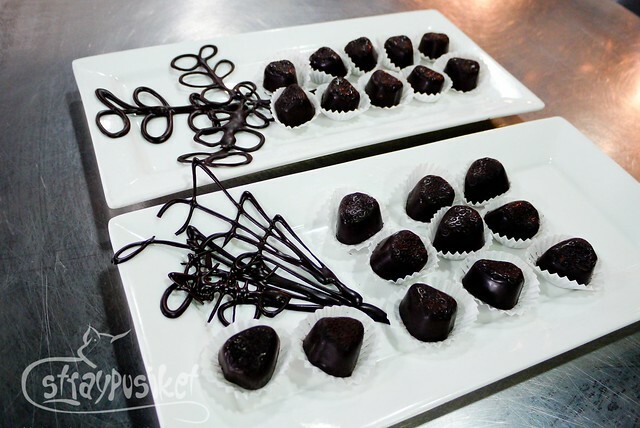 All groups were to do molded chocolate and truffles. For the individual work we did some stems. 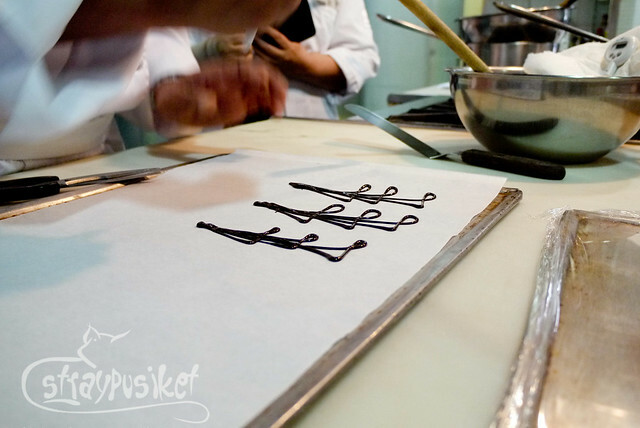 Here's a sample of Chef Carlo's work which we cannot duplicate. Hahaha. We also tried using real leaves but were unsuccessful. Now, here's our finished product. Don't laugh. Okay?